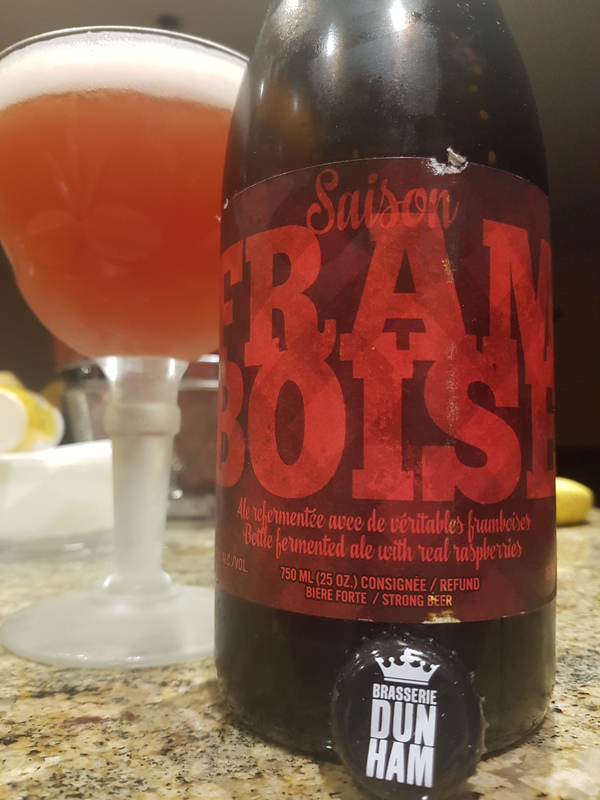 Saison Framboise – Brasserie Dunham (Dunham, QC, Canada) | Justintoxicated. Visual: (Cellared for 1 year). Pours cloudy hibiscus pink with super creamy 2cm lasting head, a plethora of very active micro streams. Gorgeous. Summary: Super clean and balanced straight out of the fridge and into a chilled glass. Surprisingly low funk and sourness for the first glass; As it warms, a bit more funk, sourness, and palate roughness emerge, but still very high quality. I would have liked more body at the finish.